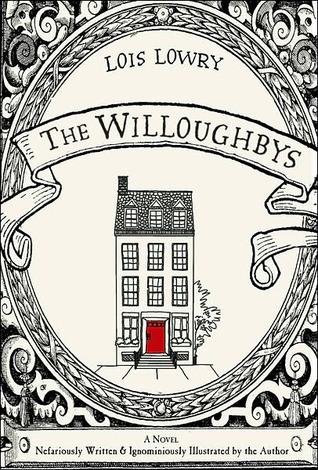 I bought The Willoughbys by Lois Lowry (HMH/ Boxer Books; 2008) very recently when I saw its tagline (in the UK edition) “A tale of villains, benefactors, abandoned infants, winsome orphans and diabolical plans” because it sounded extremely promising. Unfortunately, it didn’t exactly live up to my expectations and I feel it missed the mark with what it tried to do as a parody of old-fashioned children’s stories. It is a concoction of several tropes of children’s fiction: horrid families, orphans, left-at-the-door babies, over- the-top plot twists and a cosy happy ending. Those tropes are used and abused in an extremely self-aware story that knows it is parodying old-fashioned literature (the words “old-fashioned” appear every other page). My problem is with the way those elements were parodied here coming across to me through this overwhelming sense of mockery without recognising the richness and the heart of those stories. Granted, there are things about old-fashioned books that do deserve to be scrutinised for their shortcomings and Lois Lowry actually does this really well when examining the sexism present in the siblings’ dynamics (the older brother constantly tells the younger sister that as a girl she is not supposed to be doing anything useful). But beyond that one highlight, the rest of the story lacks any sense of internal logic, and its irreverence is extremely forced. I guess I could say that this had all of the cleverness, none of the heart? That said, parodies are very hard to get right and often work differently for different readers. I need to speak to you urgently about my brother Luke. He’s got cancer and the doctors in Australia are being really slack. If I could borrow your top doctor for a few days I know he/she would fix things in no time. Of course Mum and Dad would pay his/her fares even if it meant selling the car or getting a loan. Please contact me at the above address urgently. Ring the above number and Aunty Iris will tell you. Hang up if a man answers. 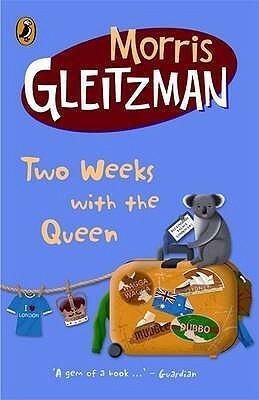 Now, Two Weeks With the Queen by Morris Gleitzman (Puffin Books; first published in 1991) has ALL THE HEART (as well as all the cleverness). Things Mean a Lot’s Ana recommend it (and even gave me a copy of the book) which in other words means: I simply had to read it. And it is probably one of the most surprising Middle Grade books I’ve ever read, one that deals with Death, Grief, Cancer and LGBT issues with subtlety, depth, sense of humour and emotional resonance. And it’s a beautiful story that hides behind the veneer of the main character’s – a young boy whose younger brother has being diagnosed with terminal cancer – almost outrageous optimism and child-logic as he tries to come up with a plan to contact the Queen of England in order to get the Best Cancer Doctor in the World to see his brother because of course The Queen’s doctor would be able to cure him. And while he is at it, he becomes friends with Ted, a young man whose boyfriend has Aids and is also dying of cancer. It is through this friendship – and by seeing what they are going through – that Colin comes to realise certain truths about compassion and companionship that also apply to his own situation. In the end I was a sobbing mess (MY EMOTIONS) and it was so worth it. I seriously cannot praise this book enough. It is a cancer book without being a cancer book (if you know what I mean) and it reminded me both of John Green’s The Fault in our Stars and Patrick Ness’ A Monster Calls for the real, raw, honest way it deals with grief. Highly recommended. The four Casson children, whose mother, Eve, is a fine-arts painter, have all been given the names of paint colors. Cadmium (Caddy), is the eldest; then Saffron (Saffy); Indigo, the only boy; and Rose, the youngest. When Saffy discovers quite by accident that she has been adopted, she is deeply upset, though the others assure her that it makes no difference at all. Saffy is the daughter of Eve’s twin sister, who lived in Siena, Italy, and died in a car crash. Grandad brought Saffy, as a very small child, back from Siena. At Grandad’s death he leaves something to each of the children. 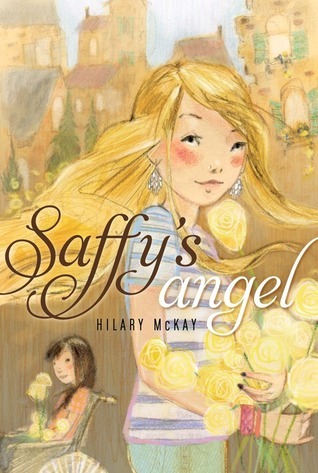 To Saffy, it is “her angel,” although no one knows its identity. How Saffy discovers what her angel is, with the help of an energetic new friend, lies at the heart of this enchanting story. Unforgettable characters come alive in often deeply humorous and always absorbing events to be treasured for a long, long time. “He had a charm about him sometimes, a warmth that was irresistible, like sunshine. He planted Saffy triumphantly on the pavement, opened the taxi door, slung in his bag, gave a huge film-star wave, called, “All right, Peter? Good weekend?” to the taxi driver, who knew him well and considered him a lovely man, and was free. “Back to the hard life,” he said to Peter, and stretched out his legs. Saffy’s Angel actually made me think of the way that literature can engage meaningfully with issues like this one little book tackles: gender roles, ableism, unhealthy expectations, difficulty in learning (and taking exams) in ingenious ways. I also realised how I have been finding comfort when reading Middle Grade books because they have been fulfilling my need for thoughtful-as-well-as-fun literature more than any other category of books at the moment. Yay! I’m glad you will regularly feature MG books! Have you read A MONSTER CALLS by Patrick Ness? I haven’t checked back through the blog, but OKAY FOR NOW by Gary Schmidt is another one I would recommend or THE WEDNESDAY WARS by Schmidt. Hi Linda. YES, I loved A Monster Calls (it was one of my top 10 last year): HERE. I took a Children’s Lit course back in University and read a book called “The Trolls” by Polly Horvath and it just blew me away. Three children (two older sisters and their put-upon younger brother) are to be babysat by their estranged aunt, a last-minute choice since she and their father never speak. She entertains them for hours with funny stories and anecdotes of her childhood but then you realize halfway through how much tragedy and sadness can erupt when a family is broken by distrust and selfishness. It started out as a bright and colourful story that got increasingly profound and startling as it went on. Thank you for calling to attention how awesome and layered Middle Grade books can be. I think people just assume it’s dumbed-down treacle because, Oh Yeah, Kids are Stupid and Can’t Tell the Difference Between Good and Bad Writing. But the reason books like The Giver and the Narnia Books and The Secret Garden and all those books are still classics are because people can still read and enjoy them as adults. Thanks for reminding me about TWO WEEKS WITH THE QUEEN. I have heard good things and went to buy it at one point, but it was sold out and I forgot to go back! I loved The Wednesday Wars, and hope you do to! I’m so excited you’re going to review MG books regularly. They’re some great ones out there that cover a variety of subjects and issues. I’m finding that MG books really deal with experiences that kids are facing but don’t become issue books – at least not the good ones. So many books to recommend. I’m breaking them up into categories for you. The Incorrigible Children of Ashton Place by MaryRose Wood – series, currently 3 books out. – The Incorrigible children were raised by wolves. Luckily, Miss Penelope Lumley is not ordinary governess. Only 15 and a graduate of Swanburne Academy of Poor Bright Females, she embraces the challenge. 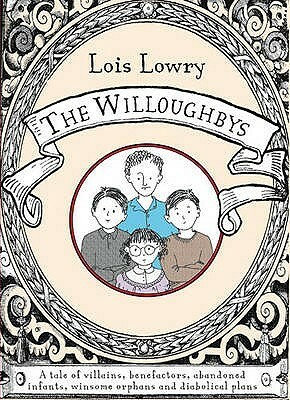 Where The Willoughbys failed to lack of heart, this series succeeds with tons of heart, humor and great word play. The Canning Season by Polly Horvath – Loved this one. Eccentric elderly aunts, suicide by decapitation, bears. What more could you want? Homecoming by Cynthia Voigt. I loved this book and have to admit teared up several times. Even the premise will cause your heart to clench for these kids. I view Dicey as a true hero. Not one with superpowers or magic who has to save the world but one who is in an impossible situation but who doesn’t give up and takes care of not only herself but her brothers and sisters. How can you expect a 13-year-old to hold all that responsibility? But she does. It’s a longer book (400 pages)but so worth it. I know these are long lists, but I hope you find something you’ll enjoy on them. I’ve tried to include some diversity in the lists. I forgot to add the Regency magic books by Patricia C. Wrede and Caroline Stevemer that are as fun as the Unladylike Adventures of Kat Stephenson series. They’re epistolary novels. Plus, the Kindle books are now on sale for only $1.54 each. I liked the first one the best. OMG thank you so much for all of these recommendations!! I am adding tons to my wish list! 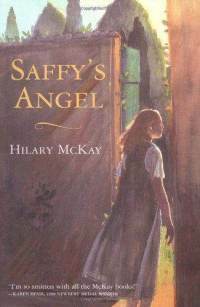 I had to let you know how much I enjoyed Saffy’s Angel. Initially, I wasn’t really sure what I’d gotten into in the first few pages, but it is brilliant: Michael and his use of Droopy Di to motivate Caddy; Rose’s clear-eyed and calculated manipulation of her father, as well as her extraordinary talent as an artist. I love the Casson family and cannot wait to read more. Thank you so much! YES! Please read The True Meaning of Smekday – it is one of my all-time favorite books! It is hilarious and full of heart. J. Lo and Tip – best comedic duo in MG sci-fi. I am a complete Adam Rex fangirl thanks to this book! Yes! Yes! Saffy’s Angel hooray! Saffy’s Angel is wonderful and I want everybody to love it, and I am happy you appreciate the “Wales is left” line, which is one of my very favorites. I also like the sign they make about the fox, poor fox. Oh, I hope you like the other Casson family books! The second one is truly my favorite, but I love them all so much. I had to pop back in here to thank you for recommending Saffy’s Angel. Like Darylnne, I was skeptical in the beginning but the Casson family soon won me over. The whole trip to Wales from the “Wales is left” line, to the signs, the teamwork, all was hilarious. I enjoyed how Rose is on to her dad and lets him know it. I’ve ordered all the other books from the library. Can’t wait for their further adventures. Also, wanted to mention a book I finished prior to reading Saffy’s Angel and then two series that I can’t believe I forgot in my (extensive) lists above. Now, for two series that are great. They also are fabulous as audiobooks. The narrators for these series are some of the best. Tiffany Aching series by Terry Pratchett, narrated by Stephen Briggs. I think the UK has another narrator who isn’t very good. I heard a sample of his work and his interpretation of the Nac Mac Feegle is horrible. So, if you go the audio route, make sure Stephen Briggs is the narrator. These can be read separately but are better read in order as you can appreciate Tiffany’s growth as a witch. Skullduggery Pleasant by Derek Landy. For some reason this series hasn’t caught on here in the US but is quite popular in the UK. This one is best on audio because Rupert Degas is a master and really brings the story to life – both the characters and the humor. I haven’t read the last two yet, though I want to see if my predictions come true or if I’m totally off base. One more, Mare’s War by Tanita Davis. My library has it as YA but I think it’s more middle reader. On a cross-country road trip, Mere tells her granddaughters about her life in the African-American regiment of the Women’s Army Corps both on assignment in the U.S. and in the European Theater during 1944 and 1945. This cover is beautiful. @Eliza: YES! The Tiffany Aching books as read by Stephen Briggs are whatever comes after brilliant. I have the audiobooks on my iPod and go back to them frequently. And Skullduggery Pleasant is such an unexpected and clever treat. Honestly, I think YA narrators such as these (and Xanthe Elbrick who read Kristin Cashore’s Fire or Tim Curry in the Sabriel series) beat all the competition. Darlynne and Eliza, I am SO pleased you both enjoyed the book. HOORAY. And thanks for the extra recommendations. I bought loads of your recommendations already (haha, I bought Wee Free Man just this saturday!) and will be reading them in 2013. I loved Mare’s War, reviewed it a couple of years ago. Yay, Ana! So glad that some of our recommendations intrigued you enough to pick them up. I can’t wait to hear what you think about it. I find Terry Pratchett’s writing very humorous but I love puns and satire so he’s right in my wheelhouse. Darlynne – Oh man, Tim Curry narrating the Sabriel series is brilliant times 2! I have those books, the Tiffany Aching books, along with The Thief of Time (the first Terry Pratchett book I read, and #1 in my heart), and His Dark Materials trilogy permanently on my iPod. Other narrators who rule: Daniel Philpott (Vampirates series – another fun series. I mean, vampires + pirates + pirates who are vampires = awesome. And it’s set in the future), Bahni Tupin (True Meaning of Smekday, The Mighty Miss Malone (which I haven’t read yet), The Help), Jenna Lamia (Moon Over Manifest, The Help, Saving Ceecee Honeycutt, Icefall, View from Saturday, etc.). The Evolution of Calpurnia Tate by Jacqueline Kelly – lovely story of a girl becoming close to her grandfather through their mutual love of natural studies. Also nice to have a story of a family who loves and are involved with each other. The Foundling’s Tale by D. M. Cornish (Book 1 in the Monster Blood Tattoo trilogy) – For fans of a complete world building and love of appendices that add to that world. This trilogy has amazing world building and a near perfect ending. Set in the world of the Half-Continent, the Monster Blood Tattoo trilogy is a world of predatory monsters, chemical potions and surgically altered people. (Book 2 is Lamplighter and Book 3 is Factotum). Technically YA, but these are so fun I had to include them. We can all use a laugh. Fly on the Wall by – E. Lockhart. Okay, tecWhen Gretchen Yee, a student at the Manhattan School for Art and Music, wishes she were a fly on the wall of the boys’ locker room, she never expects her wish to come true in such a dramatic way. Cat Girl’s Day Off by Kimberly Pauley – This one may cure your poor superhero book streak. Okay, I’ll admit this book is silly but it’s a quick, fun, amusing read and isn’t that enough sometimes? Cat (Natalie) lives in an ordinary world like ours except that some people have special powers. Cat’s gift of talking to cats is so pointless she hides it from everyone except her best friends. My Most Excellent Year: A Novel of Love, Mary Poppins and Fenway Park by Steven Kluger – This one surprised me – on how much I enjoyed both the story and, more importantly, the characters. The many characters are well-drawn and believable, and you will care about them. Also, this book is super funny and is an epistolary novel told in letters, instant messages, school assignments and e-mails. How many novels have such a cast of characters: A Red Sox addict who writes letters to his dead mother; his gay American-born Chinese “brother”; a love interest whose role model is Jacqueline Kennedy and who’s the daughter of the ambassador to Mexico; a young boy who thinks Mary Poppins is real; and a father romancing his son’s school adviser? Hero by Perry Moore – Thom Creed, the gay son of a disowned superhero, finds that he, too, has special powers and is asked to join the very League that rejected his father, and it is there that Thom finds other misfits whom he can finally trust. That’s it. Someone stop me!! This latest comment just make me trust your recommendations all the more. I have already read – and LOVED – Hero, My Most Excellent Year, Fly on the Wall and The Evolution of Calpurnia Tate so I am getting all the others you recommended. Ana – so glad you liked those books. There’s something about the slow unwinding pace of The Evolution of Calpurnia Tate that perfectly matches the hot summer days in which it the story takes place and where a day sometimes seemed to last forever. I’m, anxiously, looking forward to finding out how you liked the books and reading your insightful reviews. Fingers crossed that my recommendations don’t disappoint. Just popped back in to say that I finally got my hands on a copy of Two Weeks With the Queen and enjoyed it. I liked his growing friendship with Ted but more than that I like how he and his cousin became friends (and their plans to explore the Amazon and the cousin’s homemade grappling hook). Great mix of humor and pain without tipping over to sentimentality.